Reason for Being | A Continuous Lean. Most new clothing shouldn’t exist. It comes into the world promising something that everything you own already covers. Look through your closet and be reminded how little else you need. The sooner you extricate yourself from seasonal marketing games the happier you’ll be. There’s not a well-dressed man I know who doesn’t advocate fewer, better options. There are exceptions, of course–a transformative overcoat, say, or a good pair of English boots. But without the background noise, you can focus on tailoring traditions that existed since before you were born and will continue after you’ve ascended to menswear heaven. So take the long view and ask: Could this piece of clothing have been worn ten years ago? If not, it will look dated in a few years and you’ll be praying your photos from some defunct street style blog won’t turn up in your Google search. 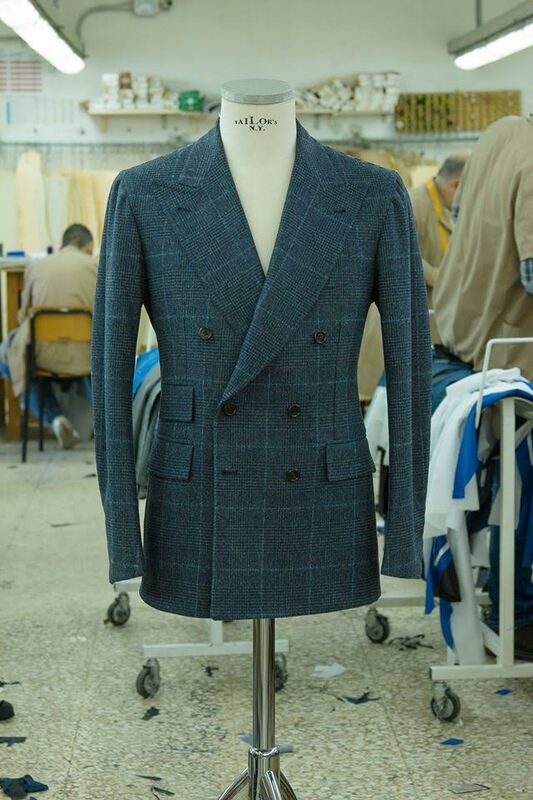 So it’s reassuring to realize that in this world of competing voices there’s a not very well kept secret: This is a golden age for Italian tailoring, one of the greatest traditions of all. The maestros have long worked their magic in Naples and in other towns around the country. By all means make a pilgrimage to visit them. But now you’re uniquely positioned to take advantage of experts who increasingly visit their devotees around America, where they rightfully receive a hero’s welcome. 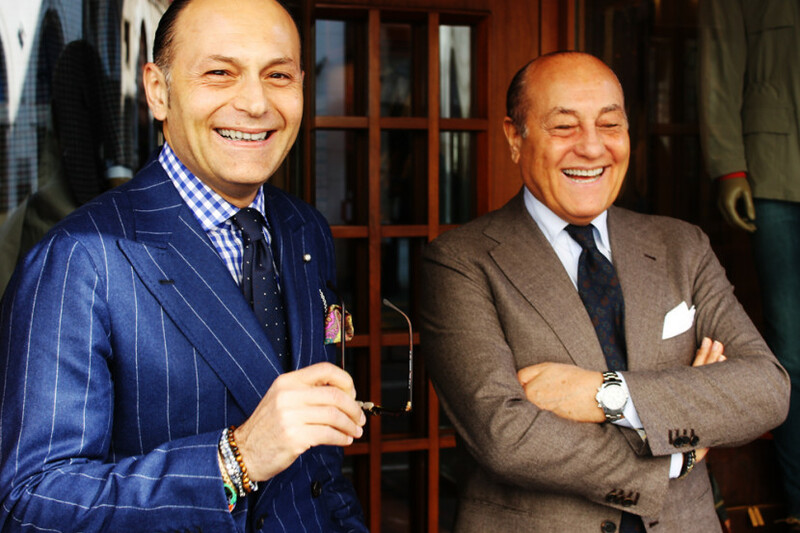 You can’t do much better than Orazio Luciano, longtime Naples tailor that is now taking a more engaged approach to well-dressed American men. Their impeccable credentials: Orazio trained at Kiton for years before starting his own line in 1990, like a chef that worked at Per Se before starting a smaller restaurant across town. The fit? Their coat has a natural shoulder with a shirt-style sleeve, with minimal construction and high arm holes. The jacket feels very light and comfortable–you’re not going to wear it playing tennis, but you might think about it. Their lapel is slightly wider than you might expect–which flatters a vast majority of men, much to their surprise. Raiding the office liquor cabinet before a meeting and wearing extremely narrow lapels should be left to Roger Sterling and backup NBA centers. The Orazio jacket is just slightly longer than you’re accustomed to seeing if you spend your time looking at designer coats that unwisely leave your back side uncovered. Again, this creates a longer line that draws the eye down your body and makes you look taller than you are. This is a good thing. 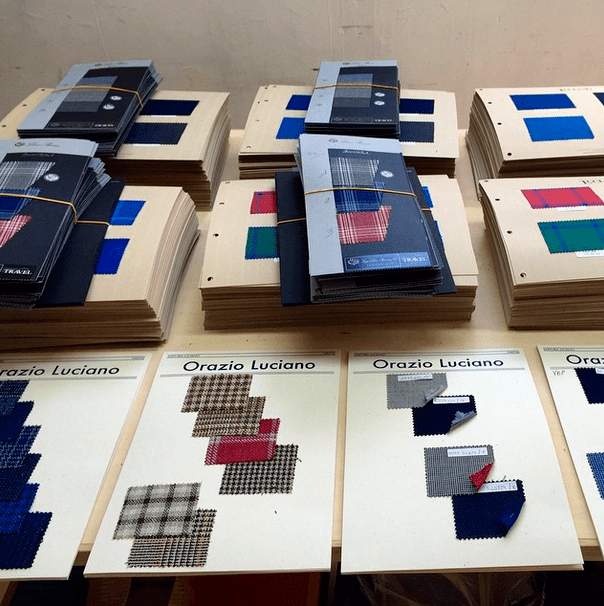 With Orazio you can step into the deep end with fabrics from their archive or keep it simple with a blue suit that will feel terrific every time you wear it. They’re rightly proud of their navy suit, which is a reminder that, when made properly, blue is anything but boring. If you’re skeptical, walk around Milan for five minutes and you’ll see that it’s a sign of understanding the power of simplicity, the poetry of directness. Armoury brings so many wonderful tailors to New York these days, it’s almost comical. Orazio will be back this Spring, their worthy representative is the dapper Pino, the son of Orazio, who now drives the business. He’ll guide you toward a made-to-measure suit or jacket, or a small selection of ready-to-wear suits that Armoury carries. These are expensive clothes that you plan for in advance (MTM coats begin at $2900, suits at $3500). That money goes right into the cost of making them, not marketing a cologne in the duty-free section of the Beijing airport. Be assured that you’re supporting the handful of people who’ve spent their lives learning to make this clothing. It’s worth taking a break from the heavy traffic on the menswear highway. If you care about tailoring, abstain for a few months, even a year, and get back in the game with the best jacket you can afford. You’ll gain a new sense of clarity. You’ll arrive at a point when you look back and won’t believe you saw the world any other way. Father and son via The Paris Gentleman. A wonderful and wise article by a very stylish man himself. Delighted to see some solid fashion journalism on this site. An excellent article that rightly boils things down to the sartorial essentials. Very much looking forward to visiting Naples this coming summer! Thank you! Those sleeves are so, so awful in that top picture. No wonder they’re giggling in the bottom one. As a guy looking to refresh his wardrobe, this was a great read … thanks!